← D.A. 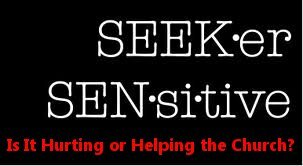 Carson: Is The Seeker-Sensitive Church Model Hurting The Church? The message of a crucified and risen Savior and the reconciliation that this can bring is the only message… the church has! It is the one and only message the church has been entrusted with and that the lost so desperately needs to hear. This weeks song is called “The Prodigal” and was written by Meghan Baird and Ryan Baird. I have included it not because it is a great song for congregational singing, but because it reminds us all of the empty life Christ redeemed us from. I hope it ministers to you. If you like this song, be sure to check the “Like” box at the bottom of the post and/or the “Rate This” box at the top of the post. Posted on January 7, 2011, in Christianity, The Christian Life, Worship and tagged bob Kauflin, christianity, consumer worship, cross-centered worship, El cristianismo, faith, Meghan Baird, religion, Ryan Baird, Sons and Daughters, Sovereign Grace Ministries, The Prodigal, worship, Worship Leading, worship songs. Bookmark the permalink. 7 Comments. I would tend to disagree that we don’t talk about the cross much in our newer songs. It seems there are quite a few. “Thank you for the cross, Lord” (Hillsong), “Once again” (Matt Redman), “How deep the Father’s love for us” (Stewart Townend), “The wonderful cross” (Chris Tomlin), to name a few. What seems to be the deeper issue with these is that they don’t so often focus on the horror, disgust, and scandal of the cross as the way in which it has been victorious. 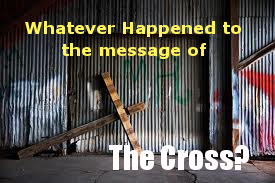 We talk about the resurrection side of the cross without first talking about the painful, death part of it. I can’t believe you disagree with me! LOL! I have traveled all over the mid-western states. 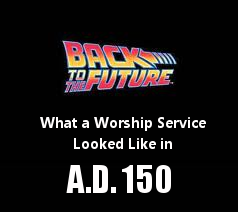 I have worshipped in 30+ congregation in the past 2 years. What I have seen, is that the cross is horribly absent. It may seem like I am painting with too broad of a brush, but it has been what I have noticed. If you are part of a congregation that gets it, then you might never know how deplorable the situation is. I would be interested to hear what other people have experienced. You’re probably right…I’ve only been in maybe a dozen or so. I would say we’re writing the songs, just not singing them. I pray it would change! We as a church in this, the 21st century have bought into the philosophy that it is important not to offend anyone – therefore we have eliminated a lot of words which were once sung in all the older hymns. Basically, we sang doctrine and by singing them often the people learnt about things like redemption, sanctification, holiness and what Christ went through so we could be forgiven. We have in a word, become so politically correct and so comfortable that we are no longer challenged when we go to church – but sadly, neither are the non-christians. Jesus himself said “If I be lifted up – I will draw all men to me” – what we are doing, is trying to do it ourselves in the world’s way. Occasionally one of the goats becomes a sheep – but not as often as should happen. I am not judging pastors or particular churches, but isn’t it time that we left corporate behaviour to the world and got on with our calling to preach the unadulterated word of God and get out there making disciples of Jesus, not disciples of a particular pastor or denomination? Then … the angels in Heaven will truly rejoice over that sinner who truly repents!